Tickets still avail: The Gin Society Festival at Manchester Cathedral. The Gin Society’s forthcoming Manchester festival sold out in record time, but fear not, a further date has been added. 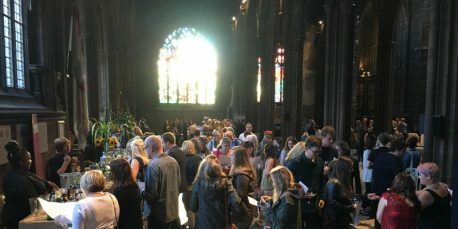 Held at Manchester Cathedral at the end of September, there will be over 100 gins to sample and quaff, from old favourites to new discoveries. To accompany them, Fentimans will be providing pure and flavoured tonics and rose lemonade. There will also be a packed programme of masterclasses courtesy of local and international distillers. With live music in a venue with ethereal acoustics, snap up your gin festival tickets before this date sells out, too.